Among the handful of bombshells one can find in the cables that went back and forth between the U.S. State Department and embassy staff in Jakarta is this: the U.S. is apparently aware of evidence linking a high level Indonesian security official to the assassination of Munir Said Thalib, one of Indonesia’s most outspoken human rights activists. 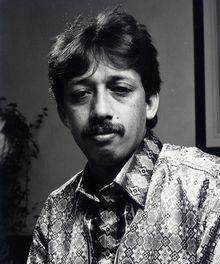 Munir was poisoned in 2004 as he flew from Jakarta to Amsterdam. While a handful of people thought to be responsible for the murder have been charged in his death, the “masterminds” – as the cables refer to them – of the assassination are not in prison. But as the cables make clear, the witness – like others with first-hand knowledge of the killing – is unwilling to testify in the case because he fears for his safety. Separate cables also detail the backroom discussions that led to the recent resumption of U.S. military assistance to Kopassus, the Indonesian special forces who are alleged to have committed serious human rights violations in Aceh, Papua, East Timor, Jakarta and elsewhere. But taken as a complete body of work, the cables make clear that Washington is keen to make more friends than enemies in Jakarta. State Department officials devote the majority of their key strokes to considerations such as: “U.S. economic interests” in a country that has grown the largest economy in Southeast Asia; “counter-terrorism cooperation” in a country where Islamic extremists have found refuge and carried out attacks; and the relationship between Indonesian President Susilo Bambang Yudhoyono and the Chinese, who are also investing heavily in their ties to Indonesia. All this suggests that activists who want to see accountability for Munir’s death are going to have to continue to pressure officials in Jakarta and Washington for further action on the case. Now that there is public evidence that the Indonesians (and the Americans) are aware of evidence against Hendropriyono, it has become even harder for officials to close the books on this tragic killing. Around 200 people raised the Morning Star flag in Indonesia’s Papua province in December 2004, in a symbolic move to mark the Papuan independence campaign that has been pursued since 1962. 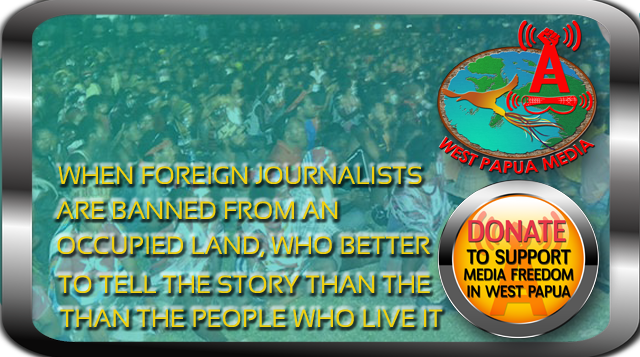 Filep Karma was arrested at that ceremony and jailed 15 years for flying the outlawed Papua flag. And he warns, in a secretly recorded interview with Al Jazeera, that the decision to renew military co-operation between the US and Indonesia could have dangerous consequences for the Papuan people.